All natural juices and smoothies, freshly prepared using the cold press juicing method for maximum taste and nutrition. The only place in Albany to offer freshly juiced wheatgrass, with its amazing array of health benefits. 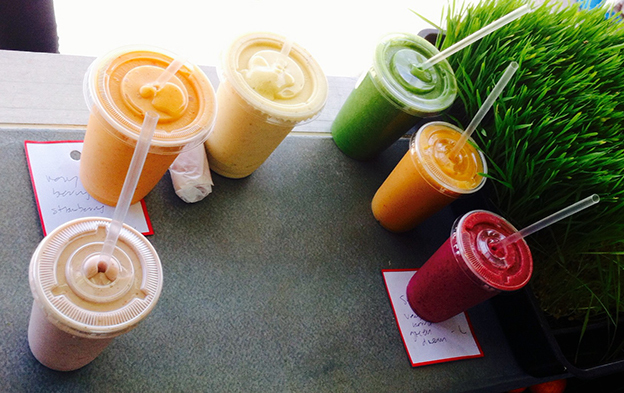 All smoothies and juices are non-dairy, gluten free and made from organic, locally sourced ingredients where possible.